Troops from 16 Air Assault Brigade being briefed ahead of qualifying for their #US#Army parachute wings. #British and US troops from the 173rd Airborne Brigade parachuted under US T-11 canopies from a Chinook #helicopter during the #training in Grafenwohr, southern Germany. 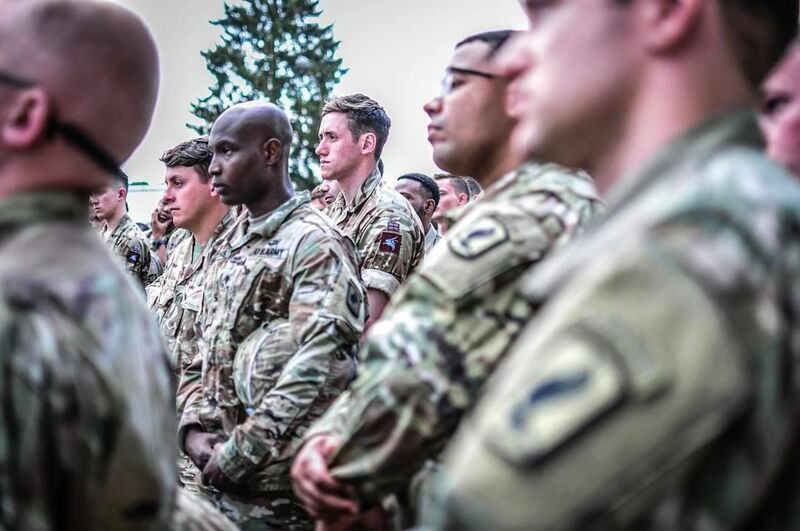 The jumps were in preparation for #Exercise Sabre Strike, which will see British and US #airborne #forcestraining together in Latvia next month.